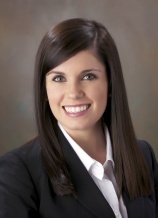 MEMPHIS, TN – January 6, 2014- Glankler Brown, PLLC is pleased to announce that Meghan K. McMahon has joined the firm as an Associate. Ms. McMahon concentrates her practice in the areas of business and commercial litigation and intellectual property. She graduated from the University of Notre Dame Law School, where she served as Executive Solicitations Editor of The Journal of College and University Law. Prior to joining Glankler Brown, Ms. McMahon worked in Academic and Membership Affairs at the NCAA’s national office in Indiana. She has experience with matters including NCAA compliance, sports and entertainment contracts, intellectual property, and other related issues. Ms. McMahon is licensed in Illinois, and will be sitting for the Tennessee bar exam in February. She is a member of the Notre Dame Monogram Club and the Notre Club of Memphis. She served as President of the Sports, Communications & Entertainment Law Forum and was Captain of the Notre Dame Varsity Cheerleading Team.